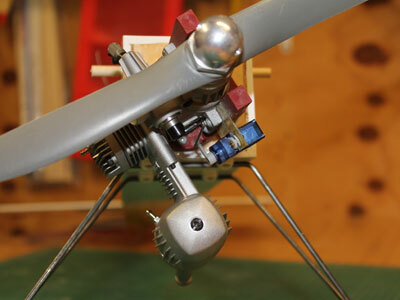 Undercarriage was bent and soldered, engine fitted, you can see the throttle servo tucked under the OS 46AX. 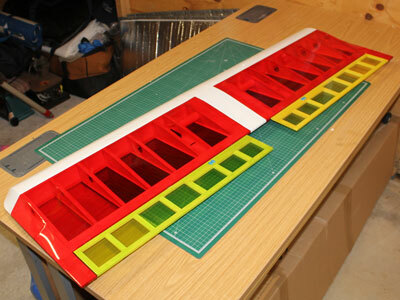 Plenty of room left inside for a tidy install. Wings complete, ailerons glues and pinned, my method of pinning is to use pins, insert until you can feel the mylar, snip them off with about 1mm protruding, and push the pin into the wing so its just below the surface. I'll make no appologoes for the colour scheme, I didn't want to spend any money on this model so had to be from what I already had, including covering films. Tail feathers built over the plan, and tacked glued together to keep as complete assemblies for sanding. 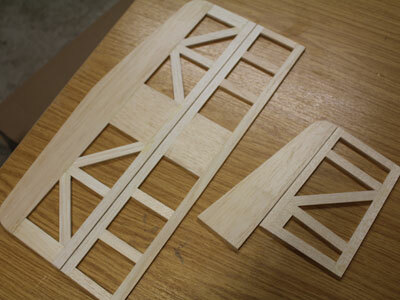 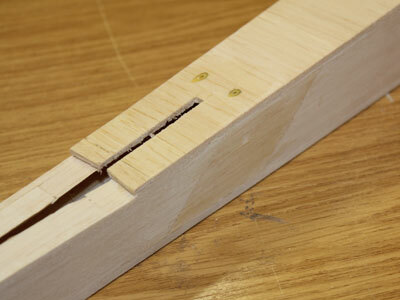 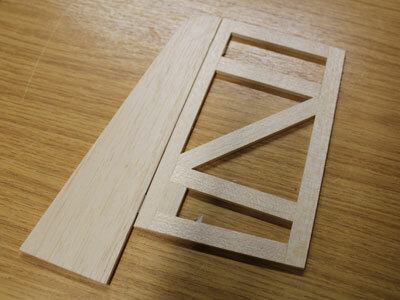 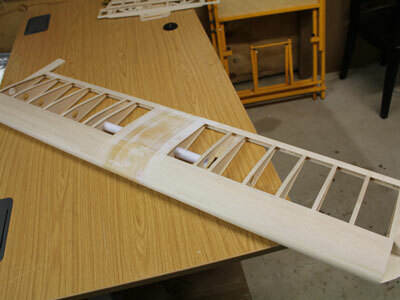 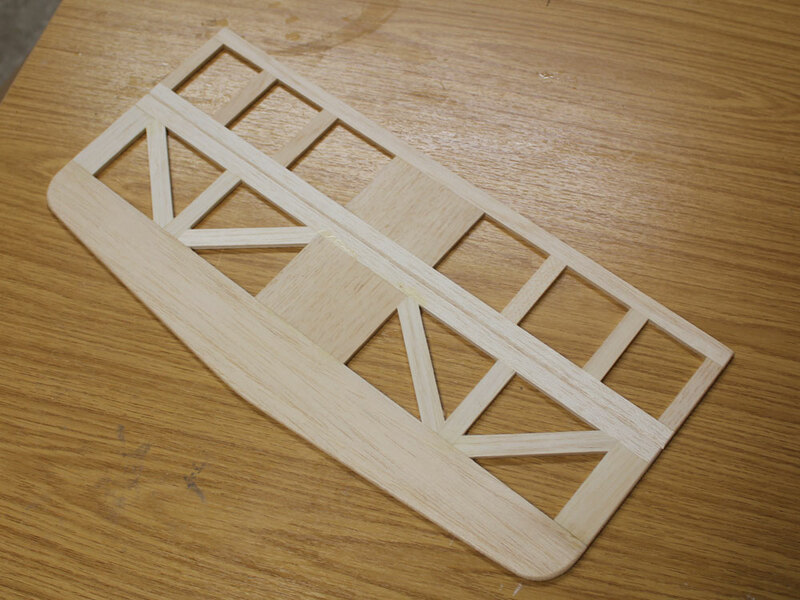 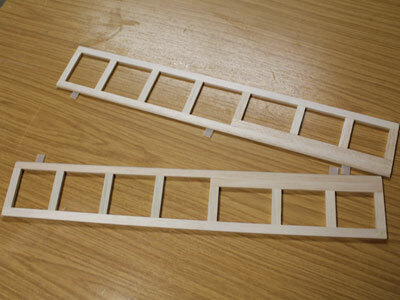 Again not too many step by setp photos, the fuselage was built over the plan, didn't need the jig to assemble. 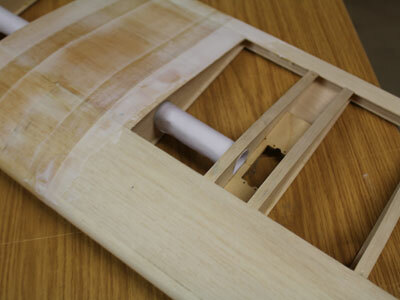 Inside the nose was glassed and fuelproofed. 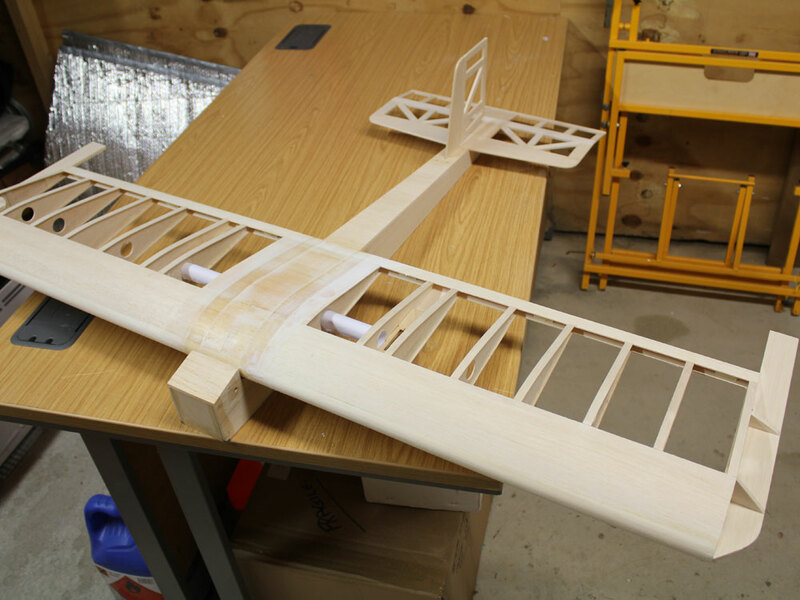 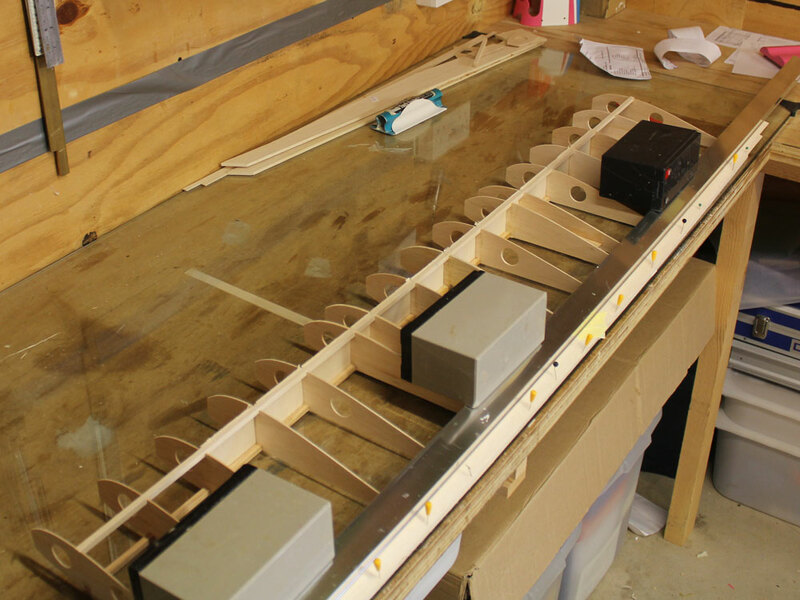 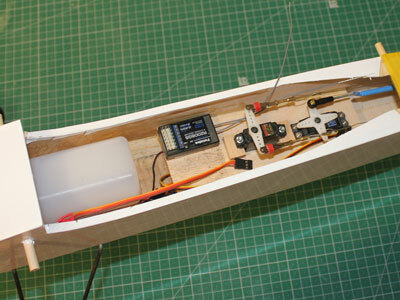 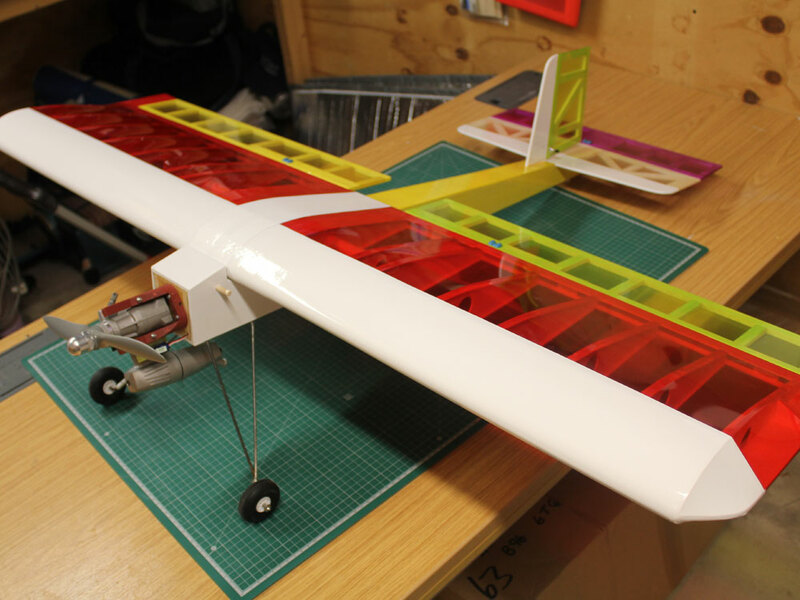 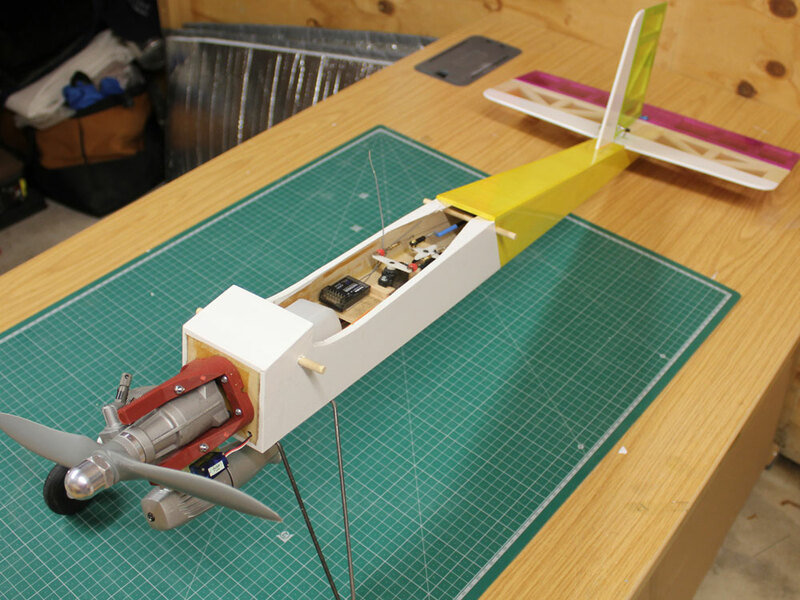 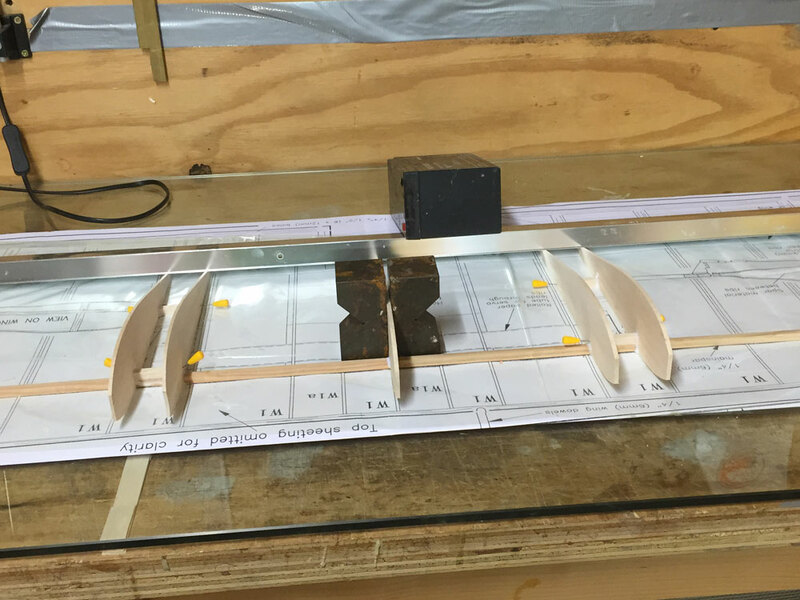 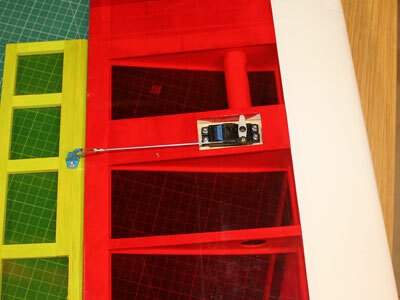 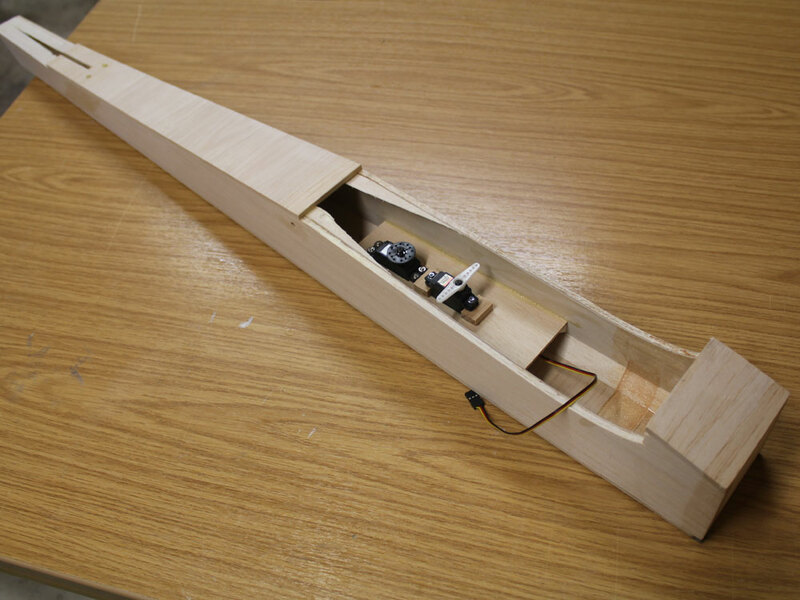 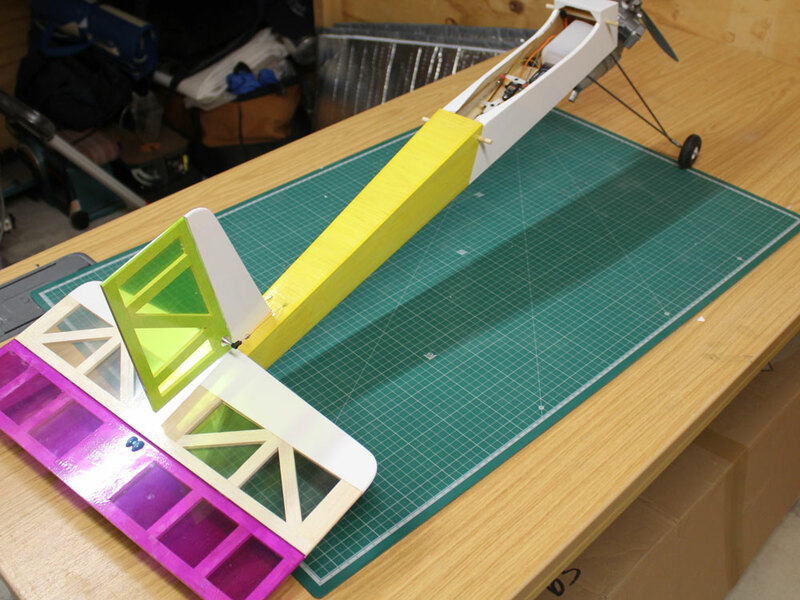 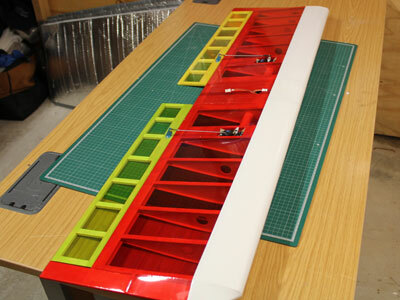 Paper tubes installed to take the aileron servo wires, and the ailerons built over the plan. 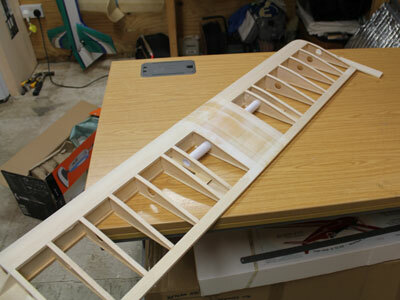 Not many photos here I'm sorry to say, wing was built in one piece, sheeted and capping strips applied, and the centre section glassed. 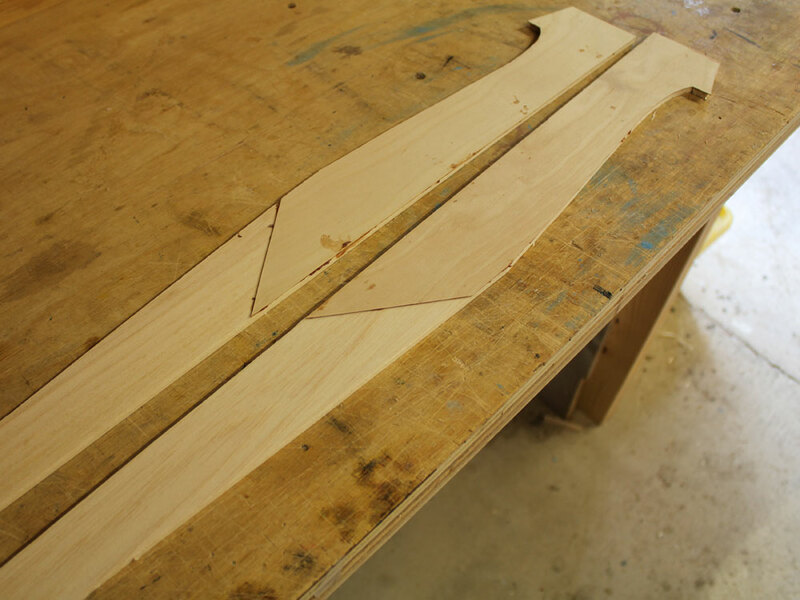 I made a master wing rib from ply and just rattled though to make a set. 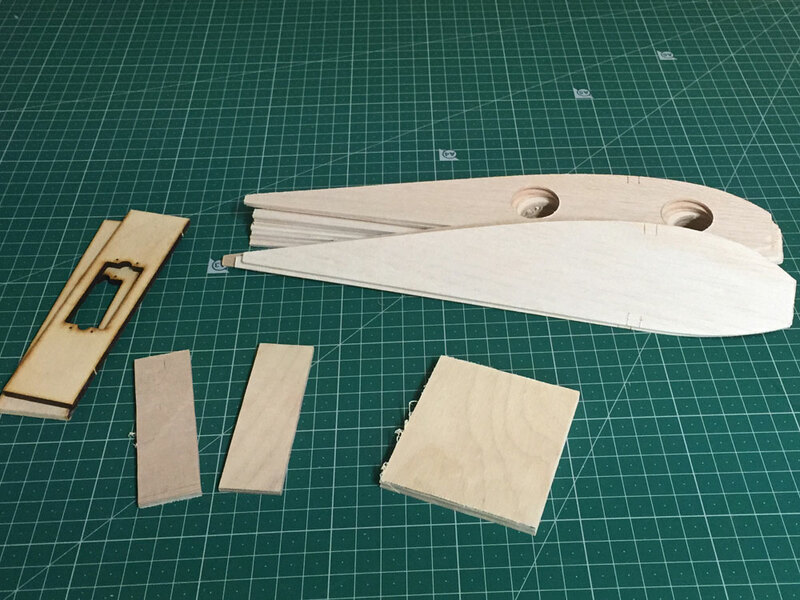 The laser cut servo mounts were left over from my Panic build. 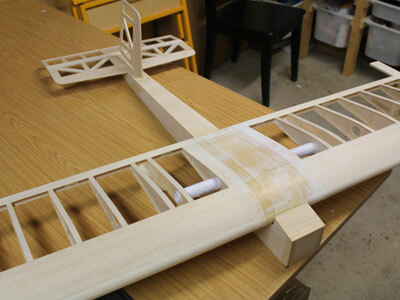 All other wood was from stock.